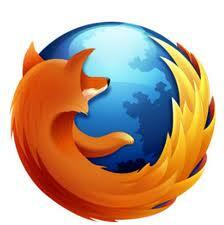 Sister Aishah's Islamic Journey: Firefox!! I protest! Firefox, you are my favorite laptop browser (I use Dolphin on my Android), but gosh darn it, why can't you get the bug fixed that is blocking Blogger's Follower Widget from appearing? Do you REALLY want me to keep opening Chrome to view my blog? Tisk, tisk! Step-it-up tech support and get this bug fixed once and for all -- enough is enough!